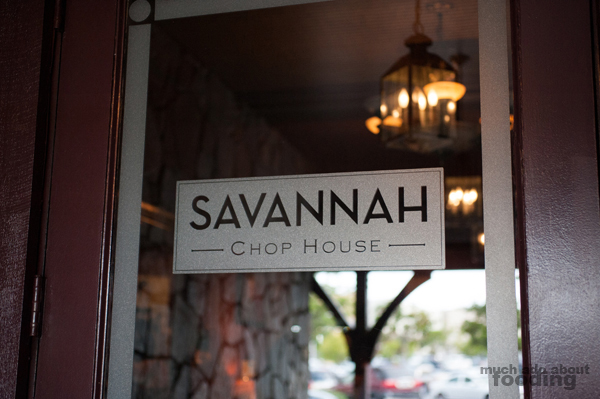 We have been meaning to come down to Savannah Chop House for the longest time now. 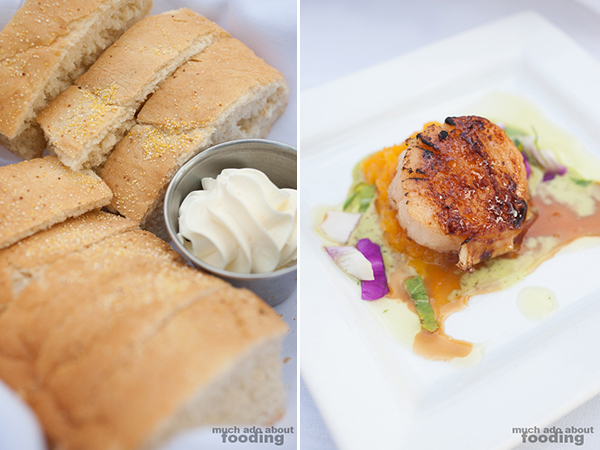 The first time we had heard of the place was because of the Golden Foodie Awards where they received a few nominations. It looks like they're up for more again this year so we'll see how that goes. 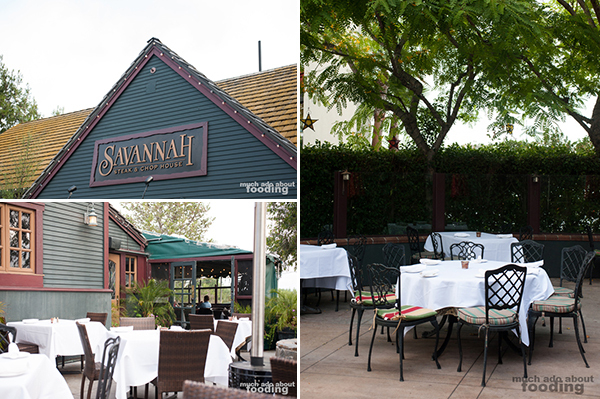 Because we were doing pretty much a day trip in more southern areas of California that day (had driven to Carlsbad in the morning), I suggested that we finally pay this acclaimed place a visit. An early dinner was in order. There are definitely different types of ambiance you can choose from. The moment you walk into the restaurant, you enter a dimly lit "steakhouse" feel with an expansive center bar. We were encouraged to sit outside in the patio with a view of the water - excellent choice. It was cool outside and with plenty of lighting for great pictures. We started off with some bread and light butter before an amuse bouche came out (not typical). This was just one scallop from their regular menu item Day Boat Scallops Brulee ($25.95 - U10, potatoes corn hash, basil emulsion), and it was the perfect starter. I wouldn't have thought myself to brulee a scallop but when you really think about it, the natural sweetness of the seafood makes sense with some crunchy burnt sugar on top. The sweet potato corn hash brought it over onto another level of goodness too. 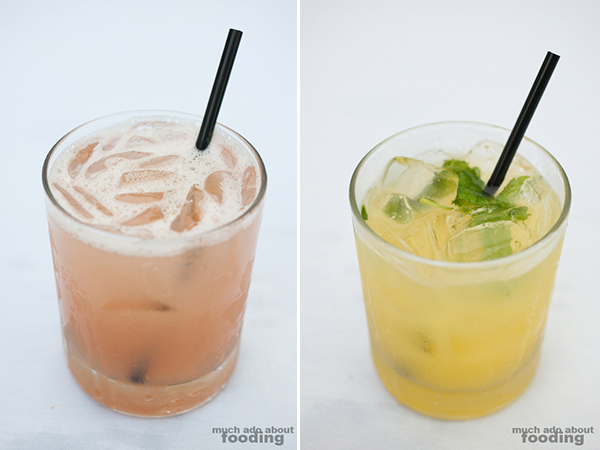 For drinks, we opted for Skinny Cocktails ($10) of Grapefruit Zero (Finlandia grapefruit vodka, fresh squeezed ruby red grapefruit, agave nectar, and a splash of 7-Up) and Asian Mojito (Snow Maiden sake, fresh mint, splash of lime, splash of lemon, and splash of orange), both of which were very delightful and packed heavy citrus flavors. 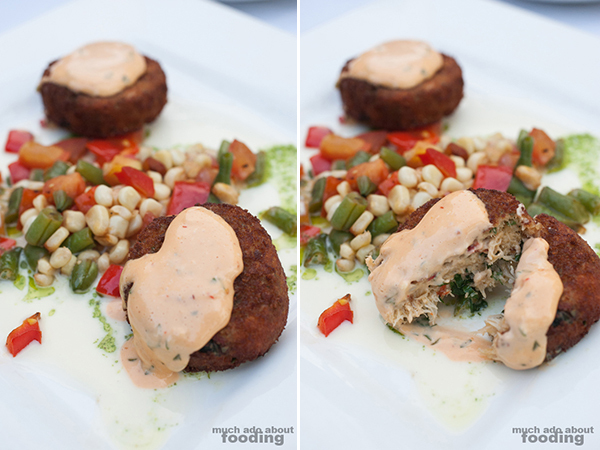 Our beautiful starters were a specially made Beet & Heirloom Tomato Salad and the Dungeness Crab Cakes ($13.50 - with organic poblano-caper remoulade). 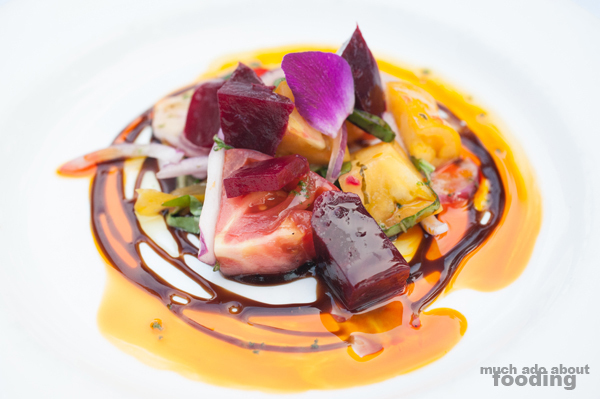 The salad had beets, heirloom tomatoes, a sweet balsamic reduction, smoked paprika olive oil, edible flowers, basil in chiffonade form, thinly sliced shallots, and overall tangy but savory flavor. We both really enjoyed this, and the combination of the vinegar with oil was good enough for me to sop my bread in it. The crab cakes were generous in the amount of actual crab in them which I don't always see in restaurants. These came alongside a succotash combo of sorts that provoked a comfort food feel while remaining fresh and bright on the tongue. The entrees were calling out to us ever so loudly by then because the starters were just teasing at the main attraction. 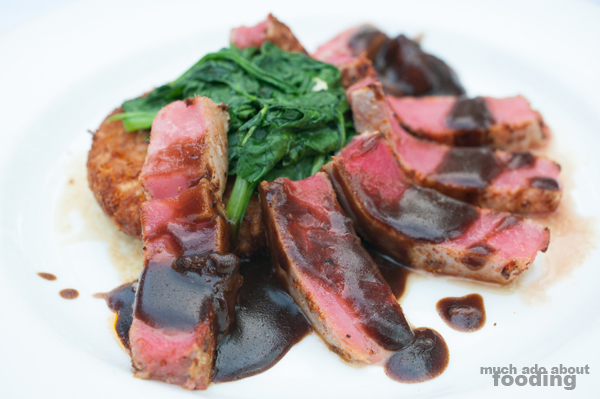 He opted for the Blackened Ahi Tuna ($25.95 - with saffron risotto cake and ginger shiitake gravy) and I for the Filet Stroganoff ($19.50 - with filet tips, mushrooms, papardelle pasta, and a brandy dijon sauce). The presentation of the tuna was actually almost a turn-off because the tuna looked as if sliced against the grain; the spinach was also unattractive in look. However, you can't judge a dish by its appearance which held true in this case because the tuna plate was delicious. The tuna was just perfectly soft and ahi-tangy, easily slicing off in pieces as our forks penetrated the flesh. The risotto cake was a very excellent touch especially by managing to stay crunchy on the outside but gooey on the inside. The gravy was also very thick and strong in umami. 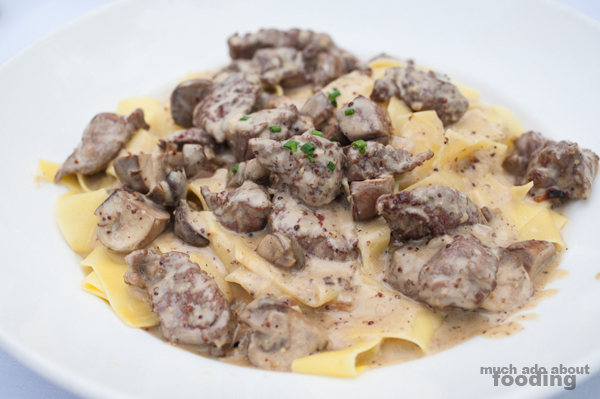 As for the stroganoff, papardelle is my favorite pasta, and this was noticeably housemade. Love at first bite eh? The filet tips were tender and doused in a palette-opening dijon that maintained the balance between creamy-heavy and mustard-light. We declared that we absolutely had to return. 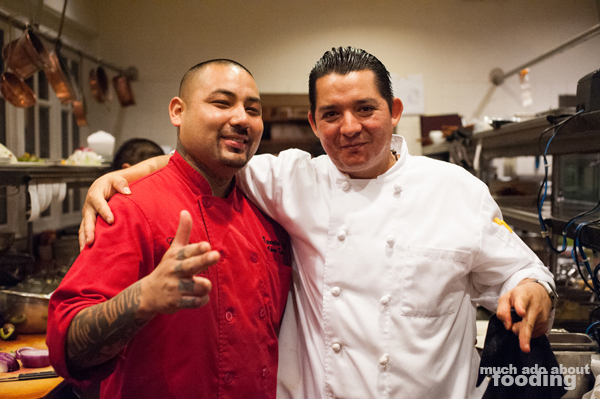 Both on our ways in and out, we ran into and talked at length with Executive Chef Chris Tzorin whom we've met on several occasions. 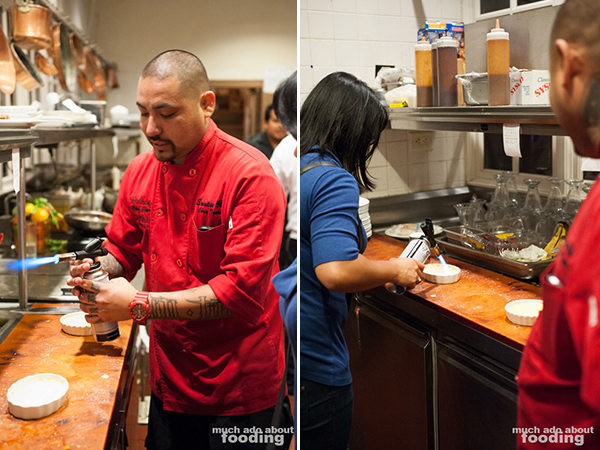 He was so excited to show us his kitchen and staff that we were led around and around, snapping shots where we could. How else could he show us his pride in the kitchen? By letting me be a part of it for the briefest of moments. 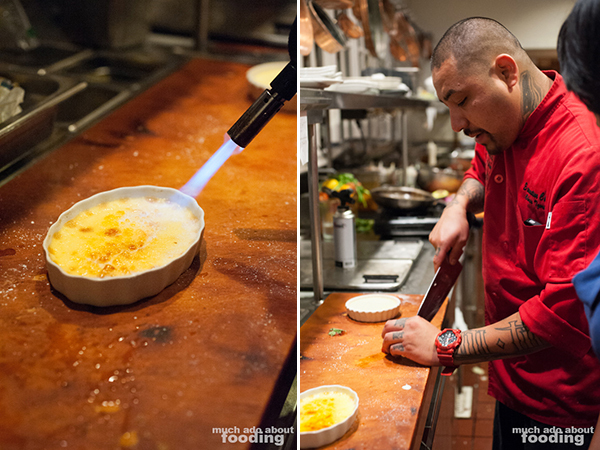 At the pace of a kitchen during a Friday night dinner rush (yeah, we just have the BEST timing huh? 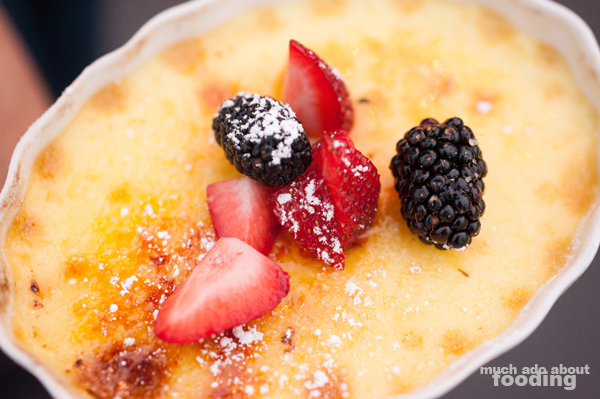 ), Chef Chris showed me how to fire up the creme brulee they serve, top it, powder it, and go on my merry way with it. Throughout the entire interaction, he could not stop from talking about Savannah Chop House with the greatest of passions in his voice. My hats off to the crew there for their hard work, and I hope that they all do extremely well in the years to come, especially with their focus on sustainable, local, and organic produce! Photography by Duc Duong while Minerva burned stuff in the kitchen.